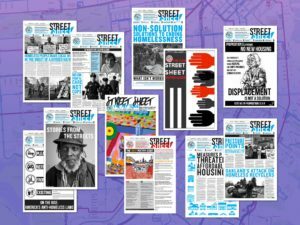 Home Street Sheet > Uncategorized > What’s Up With the Prop C Lawsuit? What’s Up With the Prop C Lawsuit? The city is currently in court to resolve whether two voter initiative taxes on the June 2018 ballot required approval by simple majority or two-thirds of voters (Prop C/childcare and Prop G/teacher salaries). Proposition C, Our City Our Home, passed in November and received 60 percent of voter support but did not reach the two-thirds threshold. Its fate rests on the fate of the other two measures. The California Supreme Court made a ruling that based on constitutional wording, voter initiatives only need a simple majority for special taxes. Special taxes are those taxes that direct spending to a particular use. City Attorney Dennis Herrera issued a statement interpreting the ruling this way last year. The Howard Jarvis Taxpayer Association sued the child care measure in June which got 50 percent support. It is currently being litigated. The anti-tax group is challenging Herrera’s interpretation and trying to get a clarity from the court in their favor. The results of that suit will impact whether Our City Our Home can be implemented or not. Meanwhile the funds are being collected and held. It may take one to two years to resolve. The teachers are getting their raises, thanks to a recently passed parcel tax, but child care and homeless funding is not moving forward at this point. The decision to hold the money rests with Controller. The decision to spend rests with Mayor and the Board of Supervisors.